The driver says “No safety” and harnesses his own seatbelt. We meet each others frightened eyes in the darkness of the backseat and hold on. There is a monsoon splashing on the windows and his wipers don’t work, I can tell both of us are wondering if we’ll make it to our guesthouse alive (it’s hidden in a location he murmurs he doesn’t know). He drove in two lanes, with the wipers off while texting. His death grip on the steering wheel is the only thing keeping him in his seat as we slide around in the back of his car. We make it. We’re alive and swear to never take a taxi without asking for seatbelts first. Later we take a stroll to what we’ve heard is a popular destination, Khaosan Road. We couldn’t walk more than a few feet without offerings of ping pong shows, cheap beer, nitrous, skewered scorpians and cheap clothing. It’s a scene from a rich kids house party the first time he is left home alone with alcohol except we’re in a foreign country in the middle of a street. In the daylight you can wander for hours through the endless markets or walk toward the parks and temples to see the showcase of architecture Bangkok has to offer. New CH Guessthouse by Khaosan Road, a budget friendly inn that was very clean and close to the action. ATM’s were easy to find and the 7-11 staff were very helpful with almost every problem/question we had. So many markets! Khaosan Road becomes outrageous fairly quickly. There were too many tourists who weren’t able to moderate their own alcohol intake. There is an alley parallell to Khaosan Road that has a hidden gem, if you can find it. Saffron is a small family owned Thai-Indian fusion spot that is cheap and delicious. 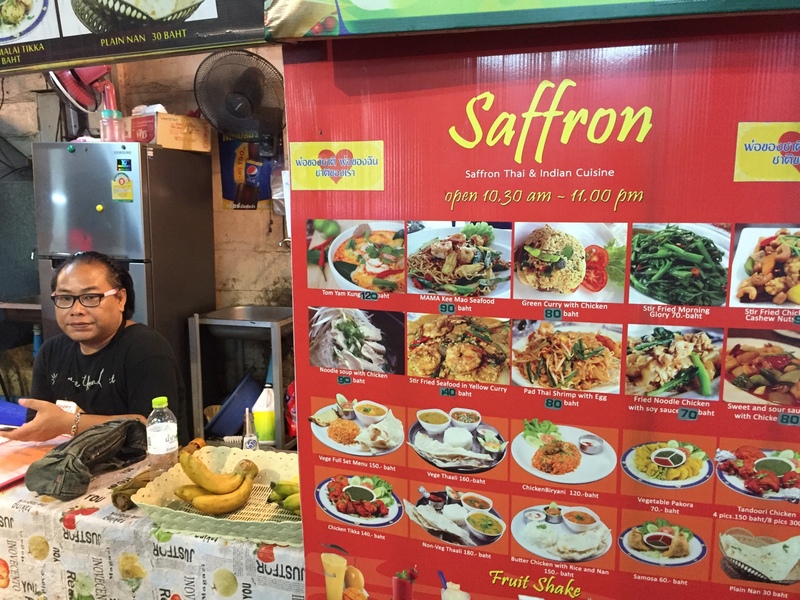 Walk toward Wot Chana SongKhram on Khaosan Road and turn right onto Chakrabongse and go into your first food stall alley on your right side to find Saffron. If the monks are praying (set times) you can’t buy alcohol or get into museums. There are so many travel agents in the city, try comparing a few prices and ask other tourists before deciding. 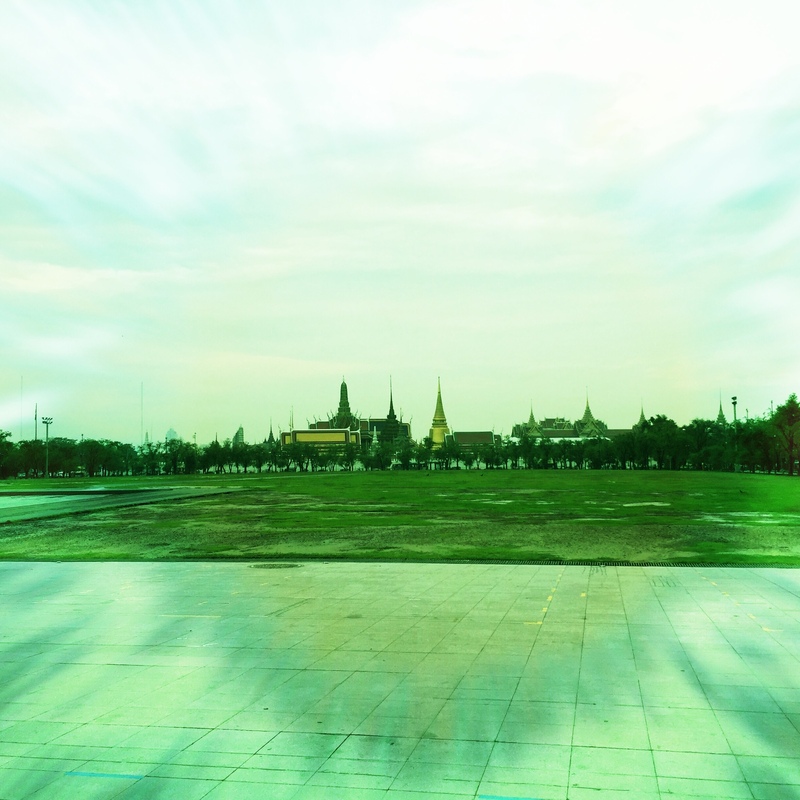 A/C vans and busses shouldn’t cost you more than 300 Baht to go within 3 hours of the city.